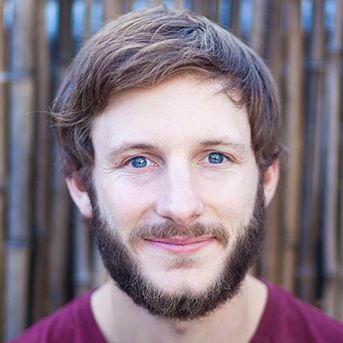 Chris Martin returns to the Edinburgh Festival Fringe with an idea that may change the very course of stand-up history as we know it. What if a stand-up show had a soundtrack? Chrissets out to discover the power of music in enhancing performance with his hour-long show about love, legacy and owls, all set to an original score. Chris has various TV credits to his name, including appearing on Fake Reaction (ITV2), and Dave’s One Night Stand (Dave). 1. Rocky IV: This is a late 80s classic for some “cheesy-get-you-in-the-mood-to-avenge-Apollo Creed’s-death” bangers. “No easy way out” is something that I like to imagine I’ll listen to when a dear friend dies and I go on a long drive. “Hearts on Fire” is the perfect tune to put on when you’re happy about winning at something against all the odds. 2. Lock Stock: When I was a kid I watched this film and it blew my tiny mind. That might have been because I was 12 when I watched it and now I realise there are loads of better films out there. However, all the songs really help keep the actions ticking along. James Brown and Ocean Colour Scene being the big name bangers. 3. Magnolia. This is the film that made me want to do a comedy show with a soundtrack. The music is constant and intense and totally goes with the action: so much so I think there are maybe only one or two scenes with no music. How else could you make a 3 hour movie not boring? “Wise Up” by Amy Mann makes you want to take a long hard look at your existence. 4. Drive. How can you make watching a film where Ryan Gosling says about 8 words interesting? Get Cliff Martinez to make an awesome soundtrack. I downloaded (legally) this album straight after watching this film and then drove home from the cinema really fast, which in London meant at 18 mph. 5. Reservoir Dogs. “Stuck in the Middle” is a song that whenever you hear it makes you instantly think cutting off a man’s ear when dancing is a really cool thing to do. I think without such a good soundtrack it would hopefully make you think it’s a really mean, illegal thing to do. 6. Eternal Sunshine of a Spotless Mind. One of the best Rom-Coms ever made in my opinion. Interesting, different, some really clever folk might even call it existential. I would just call it really nice. Beck’s “Everybody’s got to learn Sometime” is a real sit in a room and cry (in a good way) track. 7. The Breakfast Club. It starts with Simple Minds “Don’t you forget about me” which instantly teleports you back to when you were at school and makes you remember if you were a nerd, goth, jock, bully or Molly Ringwald. Let’s also not forget Karla DeVito’s “We Are Not Alone”, which makes you want to get stoned, put on a vest and dance in detention; no bad thing. 8. Beverly Hill Cop. Bit of a curve ball here but purely for the imaginatively titled “Axel F” by Harold Faltermeyer it’s got to make the list. Everyone my age had this as their ringtone when we were 14. “The Heat is On” by Glenn Frey isn’t too shabby either. As a film series, I always think of 3 things: Eddie Murphy’s laugh, Bridget Neilsen’s weird haircut and the way Serge say “Acwell Foley”. 9. Purple Rain: Even though I’ve never seen the movie this album is top notch. Pumping up the song “Purple Rain” and singing it into a hairbrush will make you feel nothing but awesome. Also Prince has recently taken all his songs off Spotify, so I think we should all just rock up to his house and sing the whole album from his balcony as I can’t go back to paying proper money for music. 10. Collateral: I think this makes my list because as a film it was nothing particularly special but the music has really stuck with me. It’s got Tom Cruise with odd grey hair doing a lot of Tom Cruise pointless sprinting and Jamie Foxx as a nice cab drive in the wrong place at the wrong time. Silly Jamie. “Shadow of the Sun” by Audiosoave always makes my playlists on my iTunes. 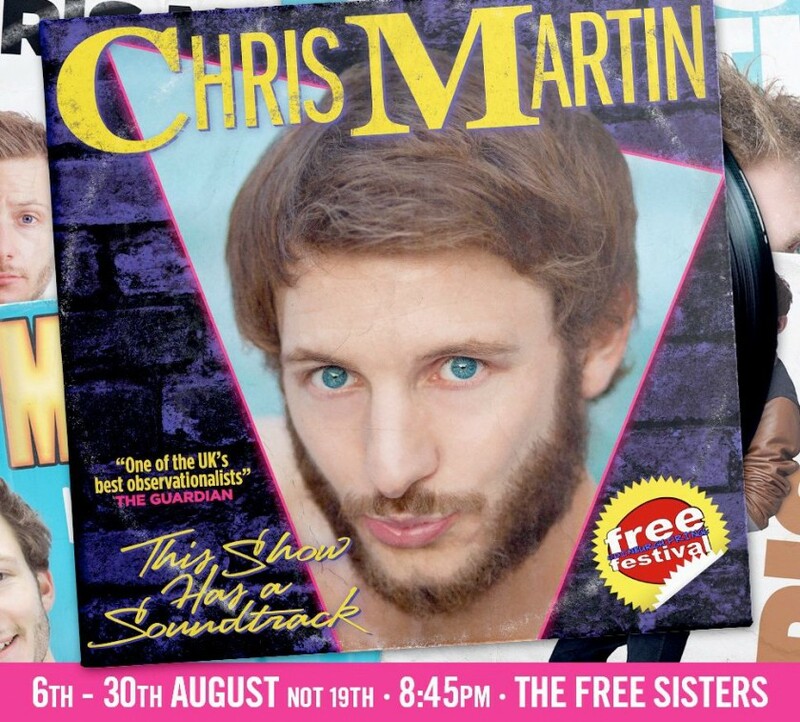 See Chris Martin – The Show has a Soundtrack at The Free Sisters: Maggie’s Chamber during the Edinburgh Festival Fringe from 6th – 30th August. 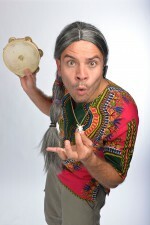 For more information visit www.chrismartincomedy.co.uk. Morgan Berry, The Worlds No.1 Pet Bereavement Counsellor’s top 10 animal films.